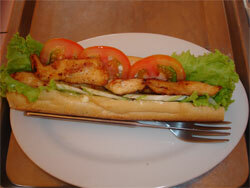 Our restaurant open from 6h30 am until late at night if the customers left from restaurant. 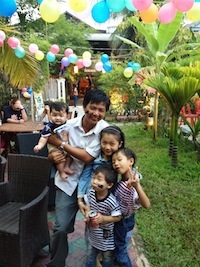 we have khmer traditional food and European food . 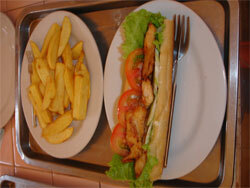 breakfast, lunch and dinner as breakfast with traditional bread as (baquette)left from French colonial. We use these baquett to make cheese sandwich or chicken sandwich and fried egg with baked bean.in our jasmine lodge restaurant is popular with curry and Banana pancake. For fish is fresh from Tonle lake is fresh water fish in the south of siem reap around 25km with variety of fishes that we export to different countries as Thailand and vietname. 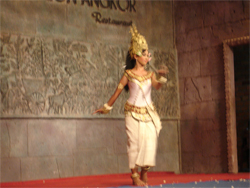 Jasmine lodge would like to recommend you also to see our culture of Khmer traditional dance and buffet dinner of the evening in luxury restaurant as Amazon and koulen 2 start at 6h30 pm every nights it is good shows and delicious food with many kinds of food like buffetsand deserts.The Apsara is really meaning full of median beautiful lady dancing for seduction during of Khmer Empire of for king sand general like depicting on the bar relief of wall of the Angkor ruin or some of them on the column of temple are with 54 styles of hair- dressing and a few are naged because they built for showing us that naged Apsara is encouraged for millatary.Roof top restaurant with a nice breeze in air with clear informations of temples and map of Angkor Wat . 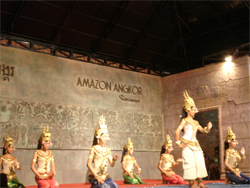 More informations of Cambodia and more tourist’s advice of the trip from one place to next destination. Soak up the atmosphere in our restaurant and bar with swimming pool view and garden, Book exchange, where you can sip on a beer while playing a free game of pool, or choose from our selection of DVDs and relax on the sofa. 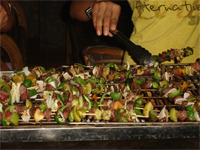 We offer an extensive menu of Khmer and other delight. Trying to stay with us like you feel at home and family stay and home stay and talk like you are next to your family and our family will be close to you as you need help. 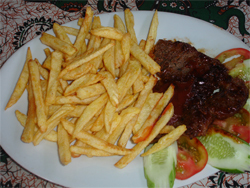 Our restaurant are well-known of beafsteak with french-fried,pancake with banana and honey,curry vegetables in young coconut and Amouk fish. The BBQ party for end of customers staying longer than 2 week and also customers would like to barbecue i provide the Griled BBQ For free of charge for doing themselve and also just drop off $5 each with BBQ and Drinks . 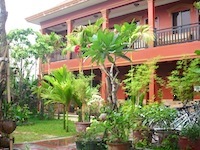 Our jasmine lodge staffs and me are helpfull to manage for you with happiness with Ipod speaker with nice music. 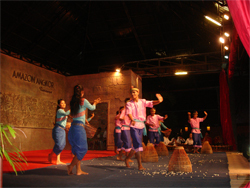 Jasmine lodge would like to recommend you also to take a rest to see Khmer traditional dance (Apsara dance) $8 for one person and big group more discount .Dinners are with buffet dinner of the evening in luxury restaurant as Amazon and koulen 2 start at 7h30 pm every nights but we have to go earlier than that half an hour it is good shows with delicious food with many kinds of food like buffetsand deserts.The Apsara is really meaning full of median beautiful lady dancing for seduction during of Khmer Empire of for king , general like depicting on the bar relief on the wall of the Angkor ruin or some of them on the column of temple are with 54 styles of hair- dressing and a few are naged because they built for showing us that naged Apsara is encouraged for millatary.Roof top restaurant with a nice breeze in air with clear informations of temples and map of Angkor Wat . 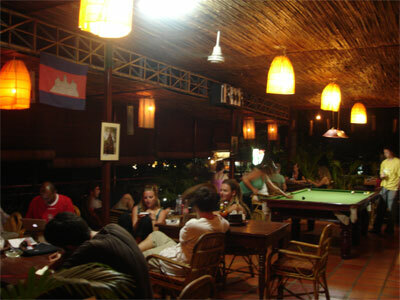 More informations of Cambodia and more tourist’s advice of the trip from one place to next destination.